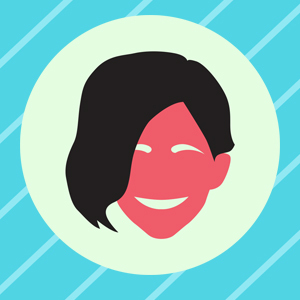 Ben Blalock is a project manager and web developer with a background in animation. He received his BFA in New Media in 2014, and his BFA in Ceramics in 2015, both from the University of Illinois at Urbana-Champaign. 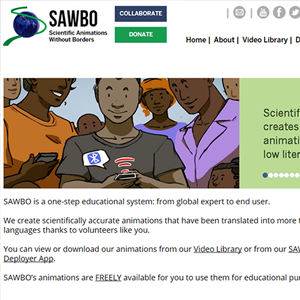 Ben is the project manager and webmaster at Scientific Animations Without Borders (SAWBO), an organization based at Michigan State University, where he constructs educational animations for low literate learners around the world. 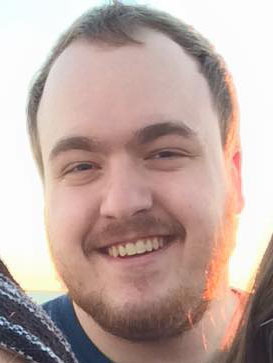 Ben oversees the production department at SAWBO, as well as the organization's websites. Most often he is fulfilling his role as project manager for all of SAWBO's animations. As webmaster he is developing multiple websites, while maintaining SAWBO's main website. 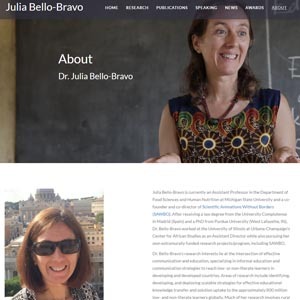 This is a professional website for Dr. Julia Bello-Bravo, the co-Director of SAWBO. To create this site, I adapted a template and populated it from a MySQL database. I created these YouTube intros for Rahaf Studios based in Kuwait. They were setting up a YouTube channel that would have different themed video series including cooking, DIY, vlogs, and Q+A sessions. This is Scientific Animations Without Border's (SAWBO's) current website. I created this site using PHP connected to a MySQL database. I created a custom CMS for the site for updating and maintaining content.